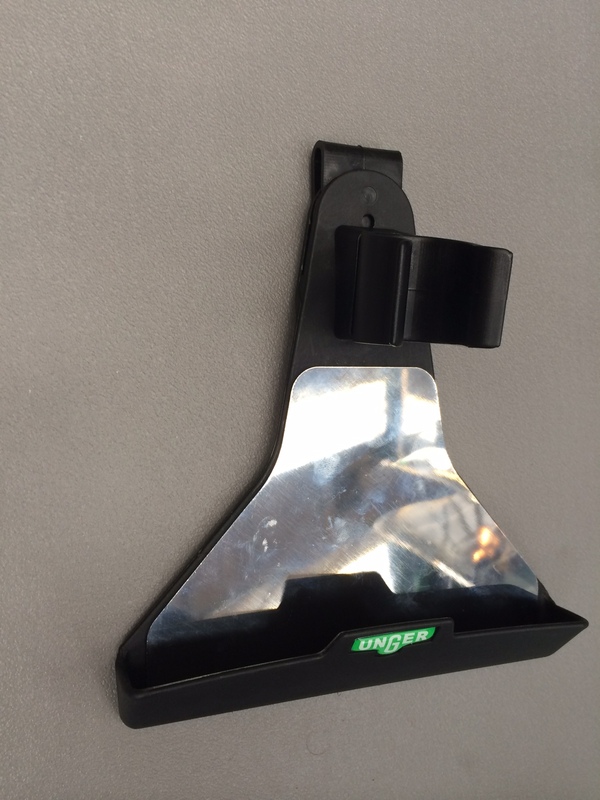 Steve Blyth, our guest correspondent in the field at the ISSA/INTERCLEAN Amsterdam 6 – 9 May 2014 files a report with Window Cleaning Magazine straight from the Unger Booth today. 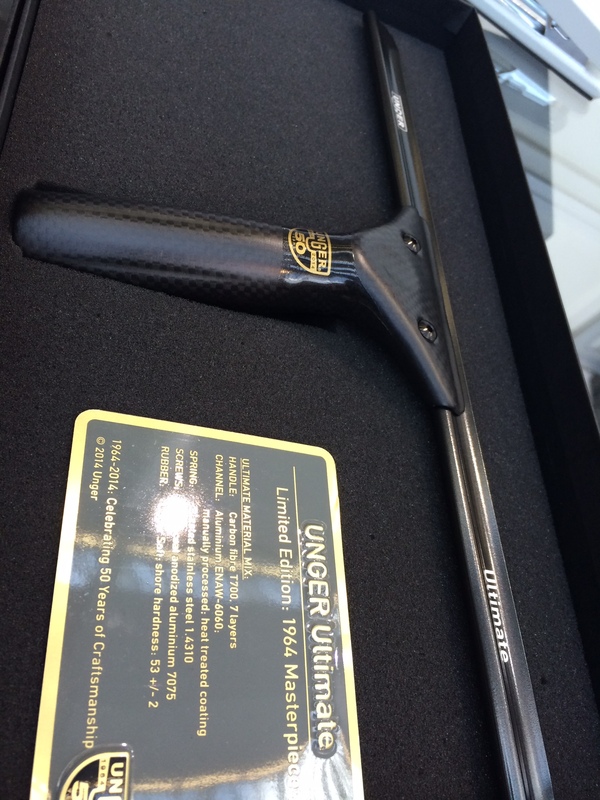 Steve Blyth: “Lee, Another great find at the Unger booth is the 50th anniversary limited edition carbon fiber handle. This thing is the Bomb! 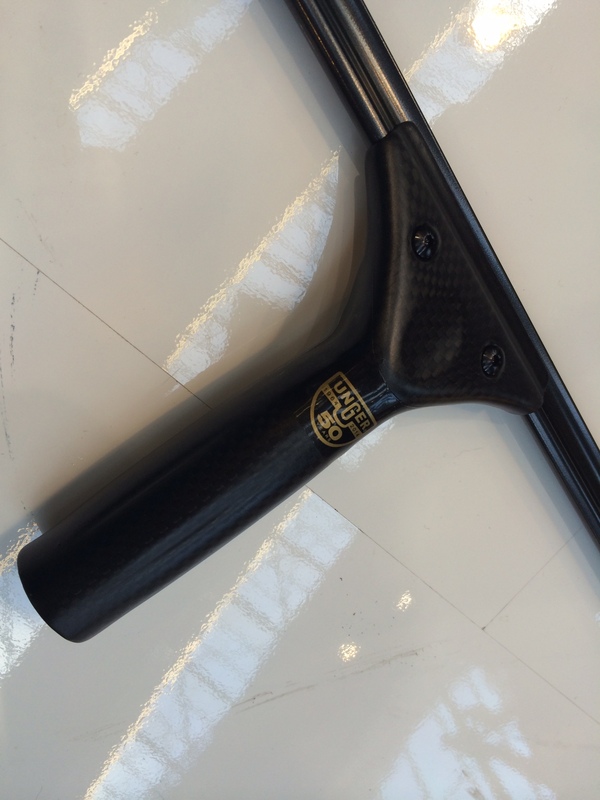 Super light, but strong and falls easily into your hand. It has been mostly displayed behind glass as there are only 1,964 of these to be made like this. But I spoke to a couple of lucky window cleaners at the booth that were able to try it and they were amazed at how light and easy it is to use. 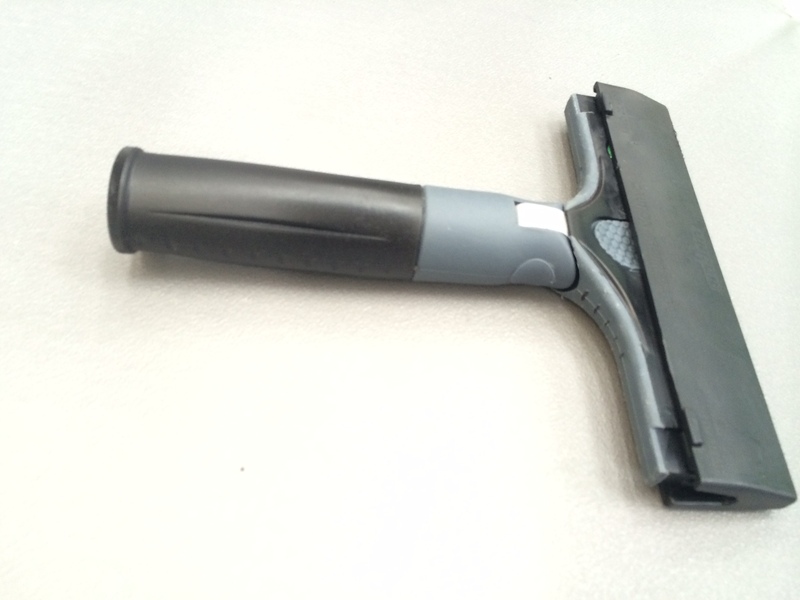 True rave car or airplane technology in a squeegee, and it makes a difference! 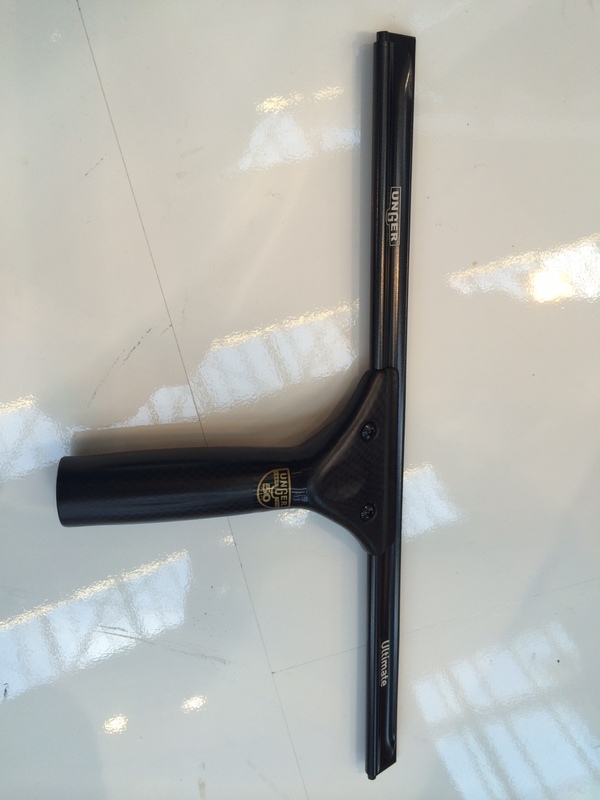 Unger has also released a new 6 inch scraper. “It has a unique ability to transform itself, switching from a straight blade to a 30 degree angled scraper at the push of a button. 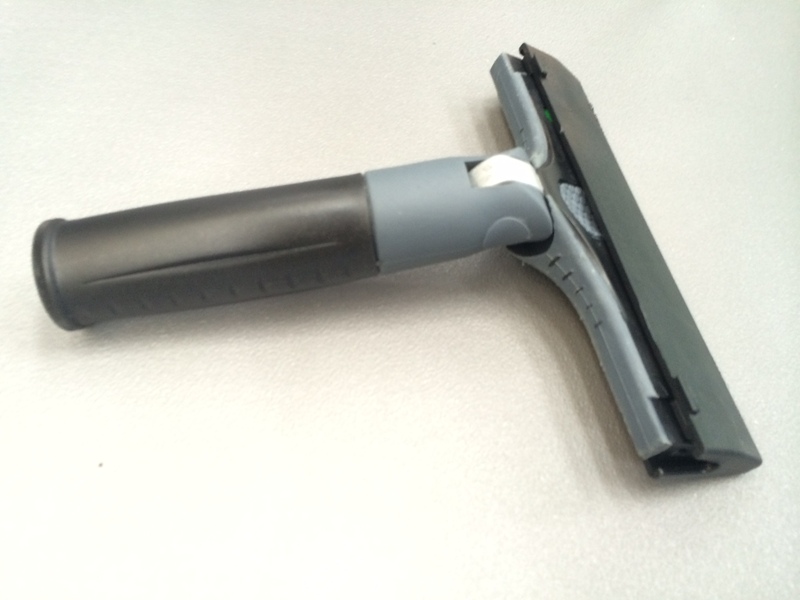 They have also release a new scraper carrier that supports carrying the scraper on your belt with easy access and safe transport without the need to replace the cover between uses.